We need to get our children walking and cycling as much as possible! New evidence has surfaced that children are at a higher risk of exposure to air pollution inside cars because the levels of these toxins are often higher inside vehicles than outside, according to professor Sir David King (chief scientific adviser to the UK government and honorary science adviser for the British Lung Foundation). When compared to the exposure of those who walk or cycle in the same urban areas, people inside cars had a much higher exposure. 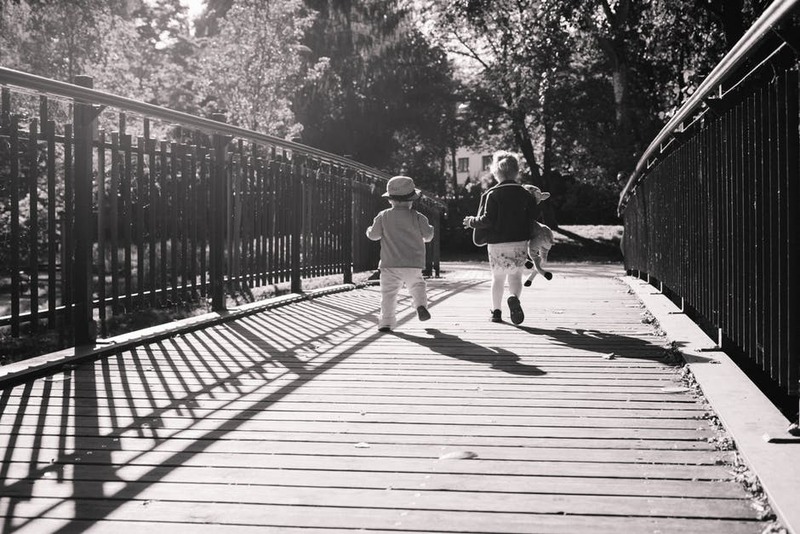 Scientists have long agreed that air pollution damages children’s lungs and increases the risk of asthma, but recent research also indicates it impairs children’s ability to learn and may deteriorate their DNA. Prof Sir David King encourages walking and biking as a much healthier alternative. We agree! Air quality is dependent on the concentration of air pollutants present in the the air that we breathe. Some of the most concerning pollutants are Ground-level Ozone (O3), Fine Particulate Matter (PM2.5), and Nitrogen Dioxide (NO2). Air contaminants are a result of the combustion of fossil fuels, in activities such as industrial emissions, vehicle emissions, and coal and gas-fired plants, as well as burning of materials like wood and waste. Air pollutants are dangerous to human health when concentrations become elevated, especially for the elderly, individuals with respiratory illnesses, and young children. To reduce risks, we need to know when pollutants are present and in what concentrations. Depending on exposure, health condition, and genetic background, air pollution can have a negative effect on our heart and lungs, as well as make it difficult to breathe properly. The Air Quality Health Index is a scale designed to help us understand what the quality of air around us is and what that means for our health. It is a tool developed to communicate the health risks of air pollution and make decisions to protect our health and the environment. 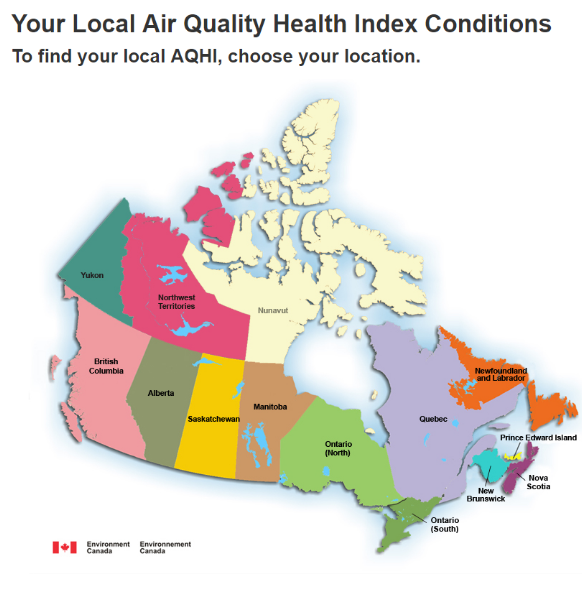 Checking your local AQHI value will indicate if you need to limit your exposure, adjust your outdoor physical activity, and reduce your personal contribution to air pollution (which we should always be striving for!). Click here to check the AQHI in Winnipeg! “What’s hiding in our air?” is a 60-minute presentation we facilitate for Grades 1-6, highlighting active travel to and from school as a solution to improving air quality and promoting a healthy lifestyle. Using high-tech tools that measure air quality around the school, this presentation will engage children in fun, science-based discussions on ways to improve our air with more emissions-free travel, including cycling and walking. Contact us to book this presentation.